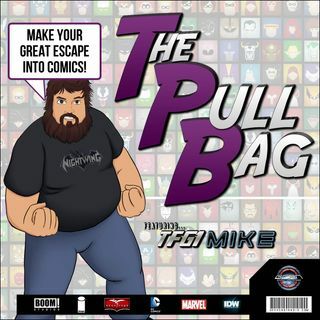 In the 131st episode of The Pull Bag we continue FIENDSHIP IS FRIENDSHIP FEBRUARY!!! Beatlesdiva the "Pinkie Pie of Podcasting" Joins TFG1Mike in reviewing FIENDSHIP IS MAGIC!!! Which consists of the 5 villain one shots! As always remember to MAKE YOUR GREAT ESCAPE into Comics!!! !